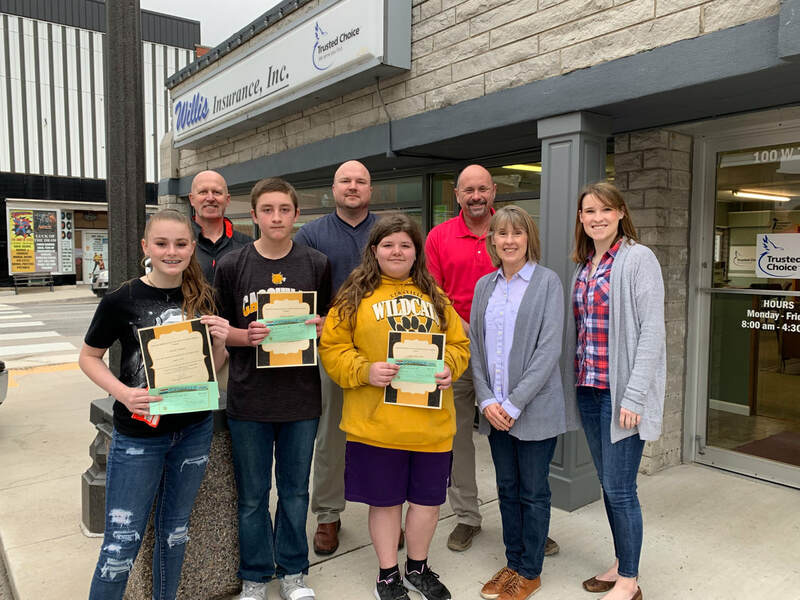 Cassville Middle School recently announced the Students of the Month for March 2019. Students are nominated by CMS teachers and coaches based upon academic excellence, perseverance or improvement, displaying exemplary citizenship and are a positive influence on school culture. The March Cassville Middle School Students of the Month, sponsored by Willis Insurance, are pictured in the front row, from left to right: 8th grader Chloe Thomas, daughter of Mark and Julie Thomas, of Cassville; 7th grader Joseph Reuter, son of Ben and Jayme Reuter, of Cassville; and 6th grader Anjolina Luper, daughter of Joy Wray and Casey Luper, of Cassville; with Willis Insurance representatives Annette Henderson and Devon Forysthe. In the back row: Jimmie Barton, CMS principal; and Jeremy Marple and Andy Reavis, Willis Insurance representatives. Students of the Month receive a candy bar, Cassville Cash, a Sonic gift-card and enjoy lunch at a local restaurant with Mr. Barton.